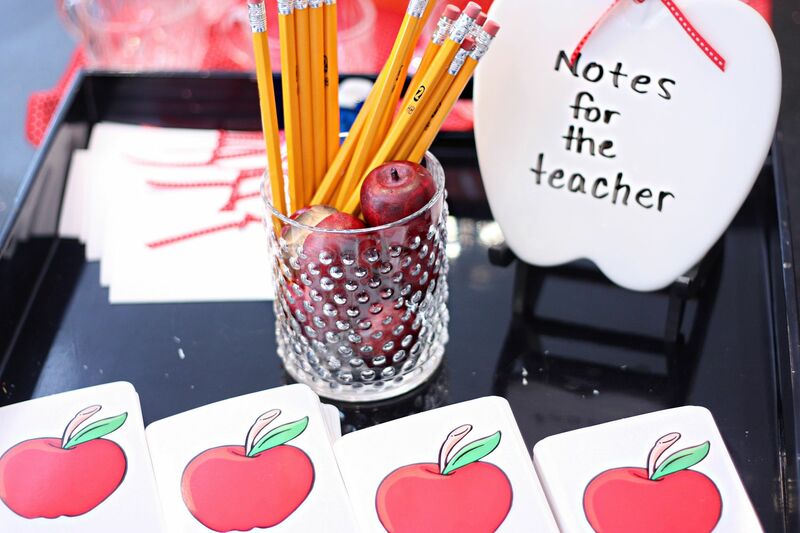 It’s that time of year where everyone is getting ready for Back to School ideas. 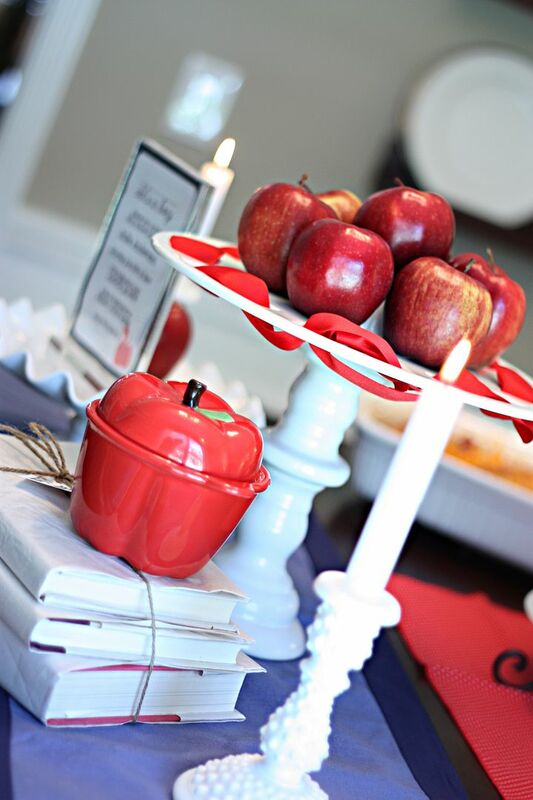 To stay with the theme, here is a Teacher Themed Baby Shower. 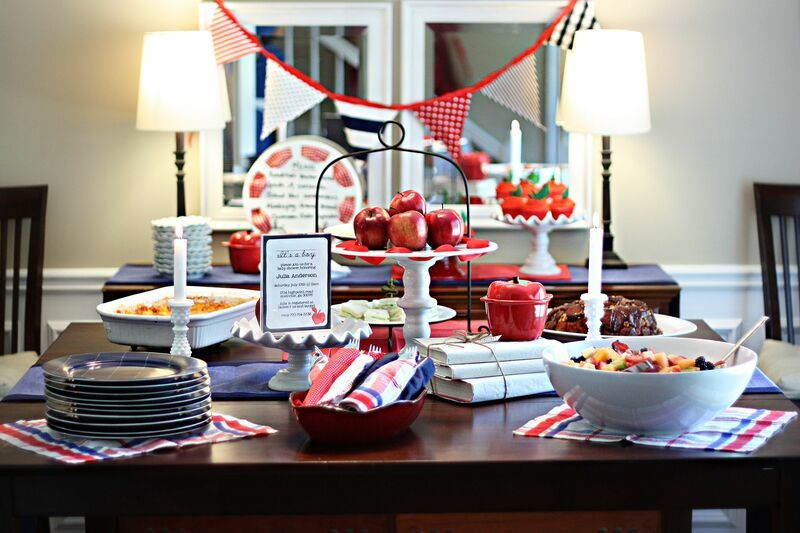 You could incorporate a lot of the ideas into your back to school party too. 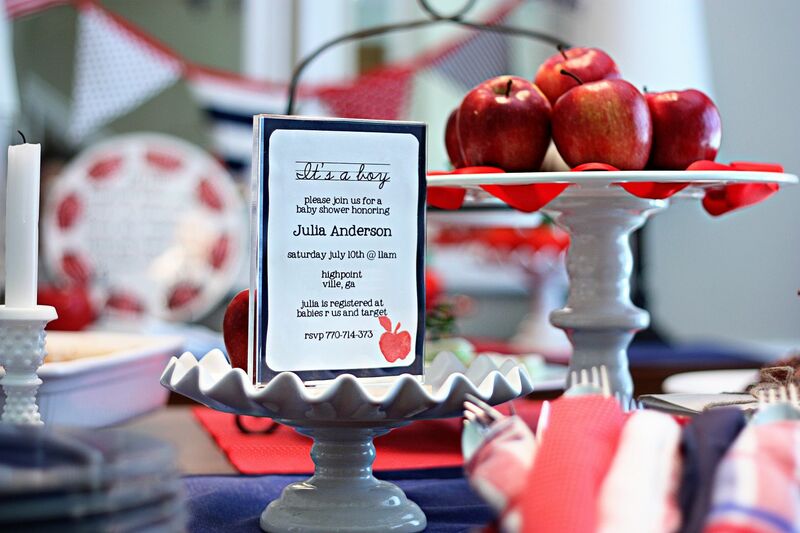 The decor was all red, white and blue items. 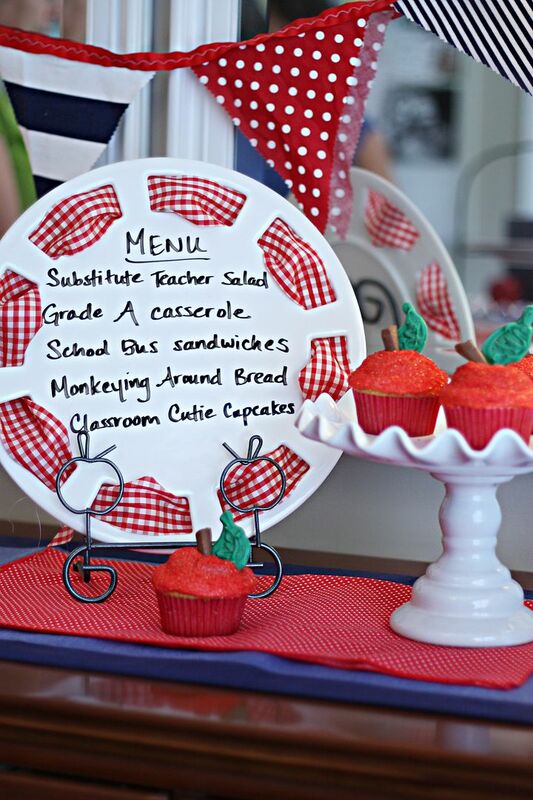 I love the great school-themed names for the dishes that were served. 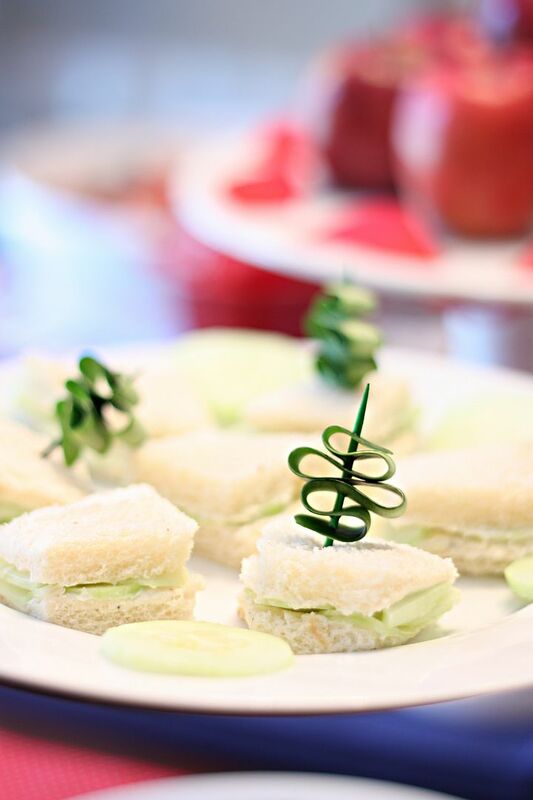 Here is a great way to garnish cucumber sandwiches. 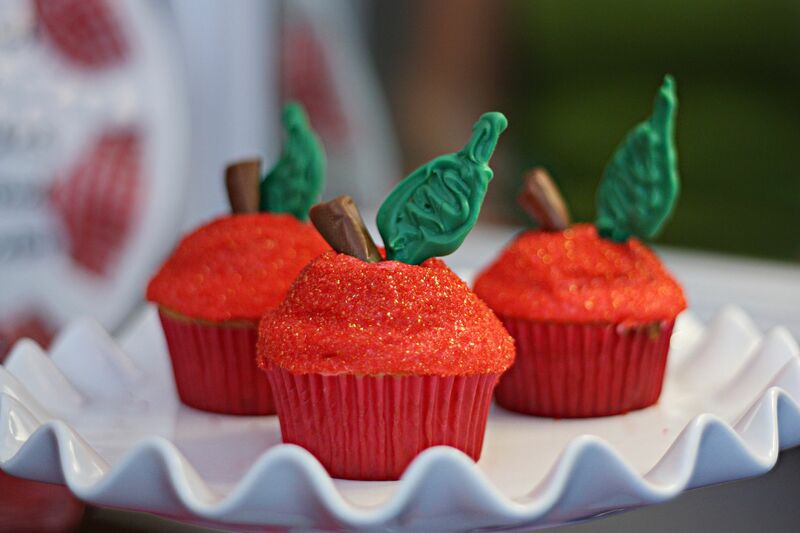 Look at the adorable apple cupcakes. Just make a white cupcake in a red liner and top with a wee bit of red icing. Then slice a mini donut in half (lay it on the counter and cut it parallel to the counter). Lay 1/2 of the round donut onto the icing and then ice the whole thing. 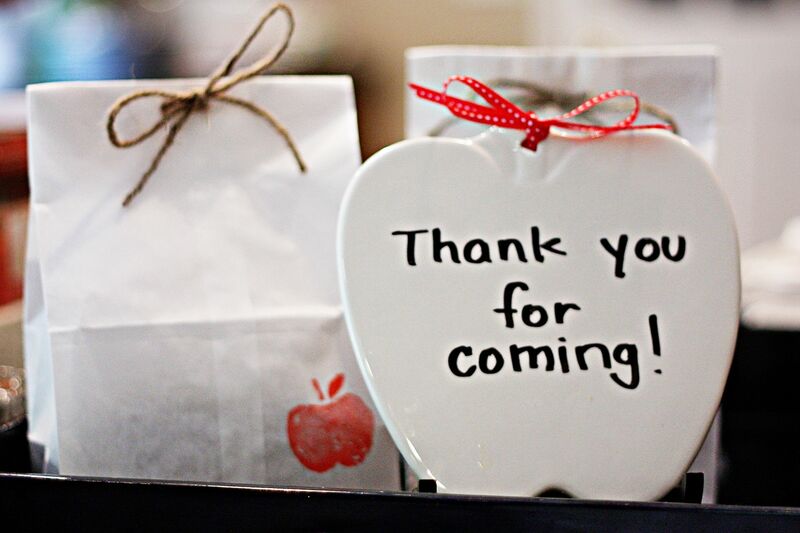 Dip the top in red sugar sprinkles and add a chocolate leaf and a half a tootsie roll for the stem. Be sure to check out all of the details from this shower at Bower Power. Great party! Such cute details!